Click here to view Caitlin Hunter’s album of her first day at the conference experiences. Our day began with an early morning walk down Rue Bleury to get to the Palais by 7am so that Kevin could get tickets for Thursday’s limited seating tasting events, and I could get some coffee. CHECK. We were a bit early to be seated for breakfast in the auditorium, but they were already serving croissant, eggs, fried meat, and potato squares in the hallway outside, so we helped ourselves. We were joined by a cheery salesman from the outfit that imports Coombes Cheddar from England here for his first ACS conference from his base in Chicago. I mentioned that Alison and I had visited Salisbury, England recently and his face lit up: “That’s very near where I grew up!” Just by chance, in my notebook, I still had a few labels of the meat pies we bought at the Salisbury farmers market when we were visiting: Bridport Gourmet Pies (Dorset Fidget, and Pork & Blue Vinney Pie) and he did a double-take: “My goodness, these are from my hometown!” So, you never know what you’ll run into at an ACS convention, as long as you keep introducing yourself. Once we headed into the auditorium we were spotted by a part of the Maine crew, and we joined their table. We discovered that the tables added a selection of cheeses from that morning’s sponsor (the Vermont Dairy Council) to breakfast, so I happily sampled through that, though I remembered I had to be careful and pace myself. Unfortunately, Caitlin had not had the same thought — “I’m already cheesed out!” she said to Brad at one point as she contemplated another dab of the Winnemere. The keynote speaker was Pascale Tremblay, a “Quebec Agri-celebrity” who spoke about the history of cheesemaking in Quebec, and then specifically about recent efforts to create/differentiate cheese “terroirs” within Quebec and Canada which is being publicized with the acronym “CARTV” at least within Canada. I was told by Eric to not be shy during meals so after registration at breakfast on Thursday morning, I joined a table of a few attendants I didn’t know and decided to strike up a conversation. I was sitting with a cheese buyer from VT and a cheese export specialist from LA. We had a nice discussion about the distribution of cheeses and problems they run into. 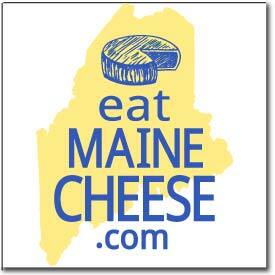 The VT buyer’s issue recently was not being able to offer local cheeses in her shop. Many cheesemakers in her area sell exclusively at farmers’ markets and in Manhattan (because they can demand a higher price), and do not have enough leftover to sell at local shops like her own. The export specialist is always working on issues around export licenses. Small scale producers can’t afford the license so they are limited when it comes to wider scale distribution. We could have continued the conversation, but it was time for the keynote address presented by Pascale Tremblay, a well-known Agronomist and Quebec TV and Radio Host, on Terrior in the New World. The core message was all about growth and growing pains, how we must prepare for change vs. just reacting to it – with the change in the regulatory landscape in the cheese industry, this is an important message to take away. My first seminar was titled “Basic Functionality of Different Starter Culture Types” by Rex Infanger (from Danisco) which should have been titled “A Thorough Review of DIfferent Starter Culture Types” because it was a flood of fascinating information on the myriad of aspects regarding starter cultures. I’ve take starter culture classes at each of the two ACS conferences I’ve attended before this, plus I took the full day workshop on cultures given by Dave Potter of DCI, so I entered this seminar thinking that it would be simply a review of the past lectures, and I would probably want to duck out early. However, there were so many new ideas and concepts presented from the very start that I was glued to my seat and became miffed when Mr. Infanger went too fast for me to even write down the minimal points displayed on his flurry of slides. Next up was a workshop on basic functionality of starter cultures by Rex Infanger of Danisco. I learned about the various starter cultures you can choose from, the benefits of each, and how to choose the right culture for the cheese you make. Rex also reviewed culture growth, and acid production. One of my favorite quotes was “experience means I really screwed up in the past.” It was good to know I’m not the only one who has had starter culture issues. His main message was you must examine what happens inbetween adding the culture and the final PH – even a temperature difference of 1 degree can affect the final flavor and texture of your cheese. …and likewise I could go on for pages (I have 3.5 pages of condensed notes in my notebook) about the things I learned at this first seminar. What a way to begin the conference, especially with my low expectations in advance (but isn’t it always like that?). Needless to say, my expectations from this point on for the rest of the conference is sky-high. Alas. Although the workshop I signed up for and paid extra for — Gouda Making — had excellent potential thanks to the experiences of Marieke Penterman — a Dutch woman who learned how to make traditional Gouda cheese only after marrying and settling on a dairy farm in Wisconsin! — the session was put in the same cavernous space that the cheese gift-bag wrapping operation was located, and in between the chatter of the volunteers and the squealing of the tape rolls, I could make out only about one word in three that Marieke was trying to tell us, despite her efforts to speak over the din. She was obvious passionate and opinionated about Gouda cheese and how its made, which made the ambient noise cloaking her words all the more frustrating. From what I could make out (mostly thanks to Marieke’s handout) I learned a bit about how someone who has done the research (she did go back to Holland to work on several different sized Gouda operations) is attempting to make traditional Gouda cheese. There are many things she does similar to what I do to my Gouda-style cheese (based on a Peter Dixon recipe), but many things she seems to do that are very different. My hope is that that ACS was able to correct this issue before the second workshop starting later this afternoon. I went on to take a class on the Health Benefits of Cheese, then the highlight of my day was the Gouda making workshop! The first time I’ve watched someone else make Gouda. I learned many interesting techniques, and realized that I’ve made more tweaks to my original recipe over the past year than I thought. Marieka from Holland Family Farms in WI was a wonderful teacher, very dynamic and full of energy. She made me want to run back to my cheese room and get back to work. I was able to try her Gouda later at the Meet the Cheesemaker event, and it was delicious- everything Gouda should be. And now I’m left speechless after a thorough and intelligent (albeit zooming to cover a ton of ground) dissection of the enervating and seemingly eternal RAW vs. COOKED argument by a professor from Italy, Dr. Giuseppe Licitra, whom I had seen speak at the ACS convention in Burlington, VT in 2007. He has spent his professional career scientifically studying what makes some of Italy’s most unique cheeses so different, and in the process he has gathered probably a literal ton of research papers that examine how traditional cheese making techniques affect the cheese making process. The big takeaway: raw milk MAY have something to do with making unique and prized cheeses, but it is one of MANY factors that are involved in making a cheese exceptional. For example, the SOURCE of milk is almost more important than whether it is then pasteurized or not before making cheese. Scientific studies have shown that the *same* herd of cows fed primarily on pasture is significantly different than the milk of those cows fed a non-pasture based diet (silage, grain, etc.). Other studies show that the milk of cows that eat pasture in the mountains is significantly different (both studies used a mass spectrometer to measure the components of the milk) than the milk of the same cows fed on pasture at sea level. The second take-away item: we have to move beyond the “better” argument. What one person perceives as “better” will often be perceived by another as “worse.” What’s important is not “better” but that we, as consumers, have a CHOICE of different varieties of cheese, without regulatory agencies making the “better” argument on our behalf, and then outlawing the “worse” options. Because, based on common sense, history has proven that raw milk dairy products are not inherently dangerous. Instead, both raw milk cheese AND pasteurized cheese can be made dangerous, or even deadly. Likewise they can both also be made safely. The key is that we develop and educate cheesemakers who know how to make good, safe cheese. Then it’s the cheese maker’s choice as to the milk they use, and how they treat that milk, how they make and age their cheese. Then the consumer can make their choice about which they prefer to buy. Period. There’s so much more to report on this, but I can’t type forever, therefore I look forward to discussing it in detail with anyone who is interested. “You have cows?” he asked. “Out in the countryside of Quebec?” I asked. “No. In Iran about 30 years ago.” I.e. before the revolution. Wow. You just never know. Having returned from the reception sponsored by the Government of Quebec…I guess I expected much more. And really, it was very nice, and who am I to complain about free food (lobster bits in pastry shells! scallops on the half-shell! mini hamburgers! veal sweetbreads!) and free beer/wine (Quebec wine and beer — pretty good)??? Especially when it’s served in the Marche Bonsecours, a beautiful old market (a smaller, more recently renovated Faneuil Hall Marketplace from Boston) by folks in tuxedos? But still, I was expecting Whoa! and I got Well Done. It just further underscores the danger of high expectations. However, on a beautiful night, meeting new folks and chatting with the Maine folks over herbal brews in the old port of Montreal (very much like the old port of Portland, just bigger and lots more granite) it turned out to be a pretty nice way to cap off the see-saw day of info.